Home / Attorneys / Reza Torkzadeh, Esq. Reza Torkzadeh is a nationally recognized plaintiff’s trial attorney who has dedicated his professional career to the pursuit of justice by exclusively representing victims in personal injury and wrongful death cases. Reza has handled numerous high-profile cases in both state and federal courts, and has served in leadership roles in litigation at the national level. He has been featured for legal commentary by the Wall Street Journal, Los Angeles Times, Los Angeles Daily News, Los Angeles Daily Journal, San Francisco Daily Journal, New York Daily News, Metro News, Christian Science Monitor, KUSI TV, and many other news outlets and publications. Through Reza’s leadership, vision and passion for representing the people, TorkLaw has established offices nationwide, in cities throughout California, Arizona, Texas, New York, Washington State, Illinois, Washington, D.C., Maine and Georgia. 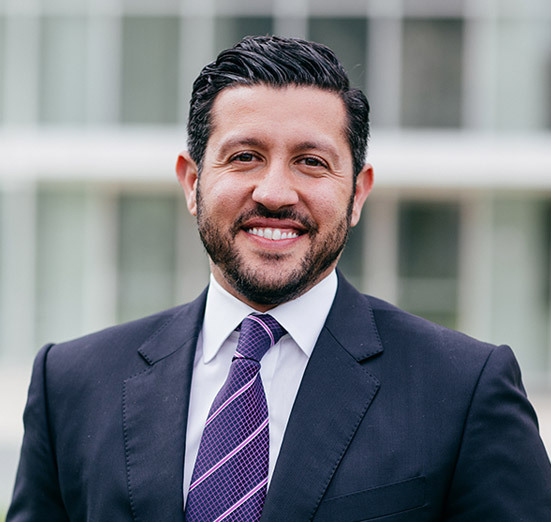 Reza has successfully represented thousands of clients and after more than a decade of practicing law, “Representing the People” continues to be the core foundation and guiding principle of his practice and the firm. Reza is a frequently invited guest speaker and has lectured across the country on the practice of law and the civil justice system. He is a proud Honorary Board Member of the Los Angeles Trial Lawyers Charity, an active member of the Consumer Attorneys Association of Los Angeles, and President’s Club Member of the Consumer Attorneys of California. Reza is the co-author of the book, Accidents Happen: A Consumer’s Guide to the Personal Injury and Wrongful Death System, which is now it its second edition and continues to receive wide acclaim and endorsement from the legal community. Following a $12,000,000.00 judgment in a 2012 wrongful death case, Reza was invited to lifetime membership in the Multi-Million Dollar Advocates Forum, a distinction held by less than 1% of all attorneys. In 2014, Reza was nominated as Trial Lawyer of the Year by Consumer Attorneys of California. In that same year, Reza represented a catastrophically injured pedestrian, which resulted in a jury verdict in the amount of $26,255,367.84 in Orange County, California. In 2015, Reza was on the leadership team that successfully litigated an FDA recalled medical device resulting in a $14,250,000.00 settlement. In 2015, 2016, 2017, 2018 and 2019, Reza has been named to Woodward White’s Best Lawyers list; a recognition of excellence by one of the oldest and most well-respected peer review publications in the legal profession. Similarly, Reza is recognized as a SuperLawyer by Thomson Reuters, a recognition he earned in 2014, 2015, 2016, 2017, 2018 and 2019. A SuperLawyer classification is reserved for the top 5% of attorneys in the Country. In 2018 and 2019, Reza was listed on the Top 100 National Trial Lawyers and Top 25 Motor Vehicle Trial Lawyers list. 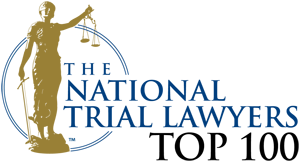 Also in 2018 and 2019, Reza was recognized on the America’s Top 100 High Stakes Litigators list. Reza has obtained more than $100,000,000.00 in judgements, verdicts and settlements on behalf of injured victims and their families. His cases have not only changed corporate behavior and forced governments to take action, but they have also brought about real change towards increasing the safety of our communities. These cases represent complex high-stakes litigation against some of the largest and most powerful corporations and entities in the world. From defective cars, tires, airbags, medical devices and drugs to motor vehicle accidents, dangerous premises and poorly designed roadways that create dangerous conditions, Reza has dedicated himself and the firm to leveling the playing field on behalf of the clients he represents against billion dollar corporations and the powerful.